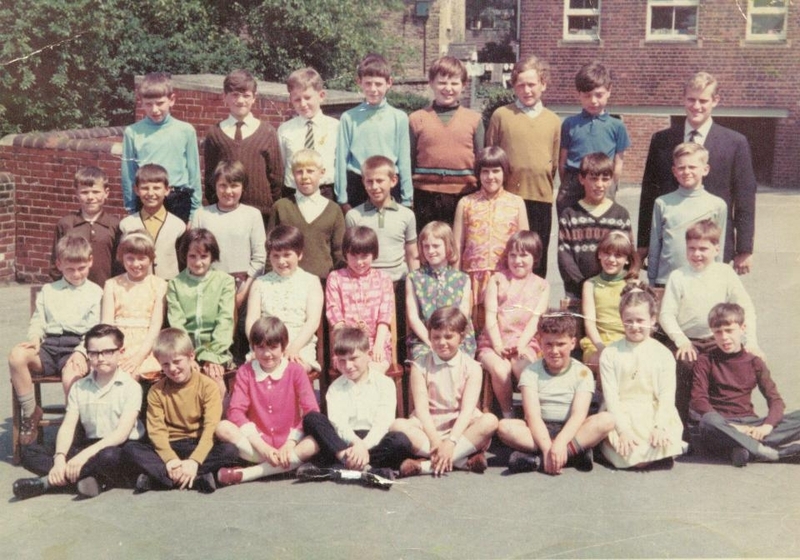 Killamarsh Endowed School 1967. Names given below. Photo courtesy of Barry Thompson. Back row: Eric Marshall,Daryll Davidson,Paul Moss,Stuart Marshall,Keith Dye,Steven Moore,Stephen Mather,Mr Swain: 3rd row: Mick Collins,Stan Broadhead, Julie Adams,Philip Gregory,Paul Barker,Nita Gregory,Neil Wheelhouse, Steven Fowler 2nd row: Mick Taylor,Julie Barlow,Marie Hancock,Christine Sunderland,Janet Drake,Joanne Stevens,Karen Wyatt,Julie Hodkin, David Wheelhouse,Front row: Nigel Lindley,Steve Clayton,Lynne Beedham,Andrew Cauldwell,Janet Deakin,Kevin Richardson,Joan Banks,Barry Thompson. I think that’s everyone. Sorry if I’ve got any names wrong. All present and correct Barry. You lot were my first class. Happy days! John Swain.